Evolis provides reliable ID card printers. 5 Panel Color Printer Ribbon, YMCKO, 300 print yield. For use with Primacy Printers. Evol.. Regular Cleaning Kit (for cleaning roller and print head) 5 adhesive cards, 5 swabs Evolis.. The Primacy Fire Red dual sided ID card printer can handle any print job you are looking to do f.. The Primacy can handle any print job you are looking to do from just a few cards a day to 225 si..
6 Panel Color Printer Ribbon, YMCKOK, 2 sided print, 200 print yield. For use with Primacy P..
Black Monochrome Ribbon, 2000 print yield. For use with Zenius and Primacy Printers. Evol..
Advanced Cleaning Kit – 2 T cards, 2 adhesive cards, 1 Pen, and wipes (Dispenser) Evolis Cle.. The Evolis Primacy dual sided printer is a cost effective ID card printer with high photogra.. The Evolis Primacy single sided printer is a cost effective ID card printer with high photog..
Blue Monochrome Ribbon, 1000 print yield. For use with Zenius and Primacy Printers. Evoli.. Cleaning Kit – 50 adhesive cleaning cards for cleaning the roller. 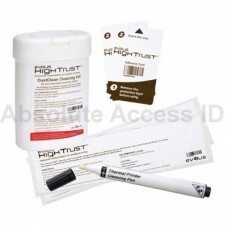 Evolis Cleaning Kit ACL00..
2 Panel Printer Ribbon, KO, 600 print yield. For use with Primacy and Zenius Printers. 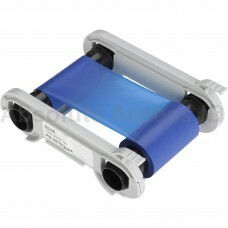 Ev..
5 Panel Color Printer Ribbon, YMCKO, 200 print yield. Multi Panel Ribbon for Pebble, Dualys,..